... all documents and memos including public comments (excluding letters from children), between the National Marine Fisheries Service, Government of Canada and Sea World regarding public display permit #774 (dated October 7, 1992) and the "Tilikum cooperative agreement" (dated January 9, 1992). That yielded a total of 1,057 pages of documents (NMFS withheld 27 pages of inter- and intra-agency documents regarding Tilikum's permit, as well as a single page related to law enforcement.) 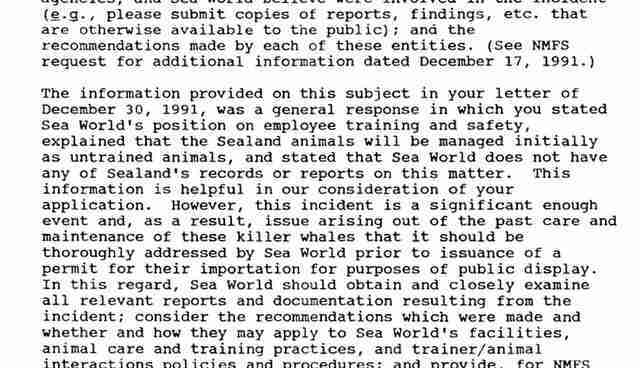 The documents include everything from SeaWorld's permit application, supporting documents, letters between SeaWorld and NMFS over Tilikum's permit and public comments received (and SeaWorld's responses), among many other topics. Most have never been made public before, and in a series of posts on The Dodo, I will take a look at some of the many details in the files which can add to or deepen our understanding of Tilikum, his involvement in subsequent deaths and killer whale captivity. On February 20, 1991, Keltie Byrne, a trainer at Sealand of the Pacific slipped and fell part-way into the pool. As she scrambled to try and climb out, she was grabbed by Tilikum (according to eyewitnesses who appear in "Blackfish"), and pulled back into the water. Sealand's three killer whales (in addition to Tilikum, Sealand had two female orcas, Haida and Nootka) had never been "desensitized" (or trained to be accustomed) to humans in the water. Over approximately the next ten minutes, Tilikum, Haida and Nootka dragged Byrne around the pool, prevented rescuers from reaching her, and drowned her. The tragedy led to the closure of Sealand and the sale of the killer whales to SeaWorld. The question is, did SeaWorld dig deep enough into the orcas aggressive history before buying them? Byrne was the first killer whale trainer to be killed by killer whales, and an obvious and important question regarding SeaWorld's purchase of Tilikum, Haida and Nootka was: how much did SeaWorld worry about the fact that it was bringing three killer whales who had killed a person? When I was reporting The Killer In The Pool, Thad Lacinak (who was in charge of training at the time) and others explained to me that full desensitization (which SeaWorld opted not to do) meant that a SeaWorld trainer would eventually have to get in the water with Tilikum. That evolution in the desensitization process obviously included some risk, even if the training up to that point had gone well. And after internal debate, that was a risk that SeaWorld decided not to take. But the FOIA documents regarding SeaWorld's permit application to import Tilikum for public display offer interesting additional insight into SeaWorld's thinking about the fact that it was purchasing killer whales that had killed a human. The insight comes via a back and forth between SeaWorld and NOAA over the permit application that SeaWorld filed in November 1991, seeking the three killer whales for public display. 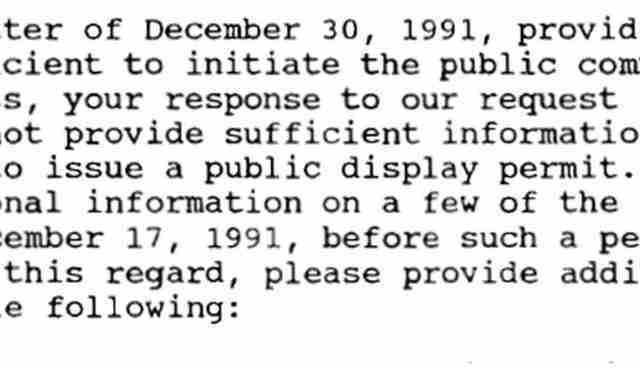 SeaWorld's Brad Andrews, the VP of Zoological Operations who was handling the permit paperwork, responded on December 30, 1991, essentially telling Terbush that SeaWorld had only general information, and no detailed reports or investigative documents. Andrews helpfully urges Terbush to seek any additional information or reports on Keltie Byrnes' death from Sealand and the Canadian government. It was interesting to read that SeaWorld stated that they considered the three orcas as being "essentially untrained". The training methods we used were really no different than SeaWorld's. While attending IMATA [International Marine Animal Trainer's Association] conference's I gathered information about SeaWorld's training practice's (since, at the time, I considered them at the forefront of training techniques). I also met Bruce Stephens, an ex-SeaWorld, senior trainer who had gone out on his own as a consultant. Bruce was hired to bring our training techniques up to date, which, over time, we did. His recommendation of training waterwork with the orca's was nixed by Bob Wright, Sealand's owner, and to be honest, I and most of my staff had no taste for going in the water with the orcas. We knew that SeaWorld had accidents despite their water work training. 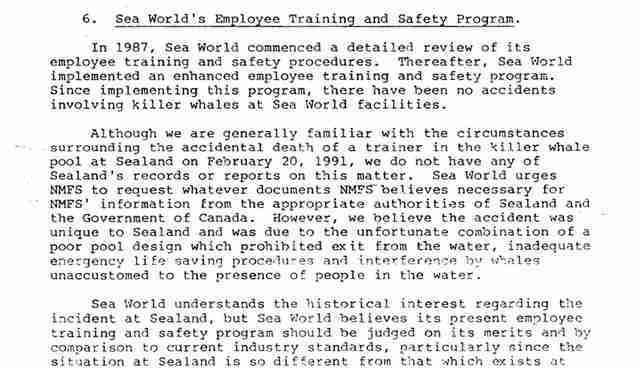 Sea World's perception of Sealand's orca's as being "essentially untrained" probably rises from the fact that the orca's were not trained in waterwork or husbandry behaviours such as fluke presentation for blood sampling or slide outs for weighing. We had no need to train husbandry behaviours as our medical pool had a sub-floor that could be raised, allowing us to make a full body examination, take blood samples, exhalation sampling and to weigh the animals." 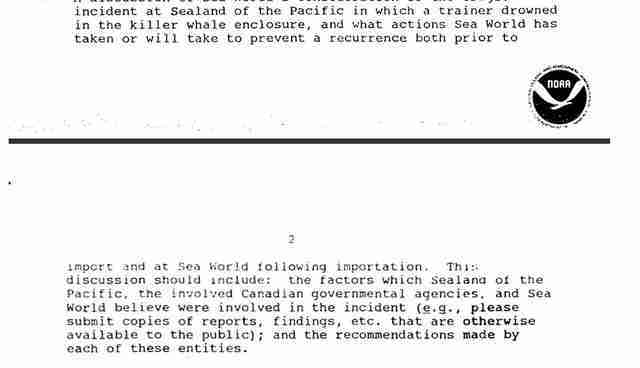 Pressed to be more forthcoming, Andrews replies on February 14, 1992, but mostly reiterates that SeaWorld believes that Keltie Byrne's death resulted from the practices at Sealand, and that SeaWorld isn't Sealand and is better prepared to deal with Tilikum, Haida and Nootka. Andrews was correct that SeaWorld was perhaps better prepared to handle Tilikum, Haida and Nootka. 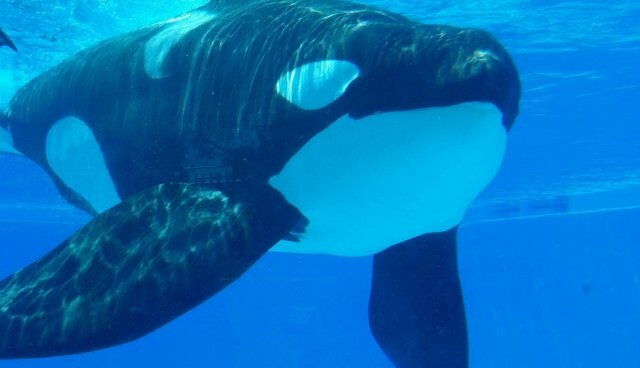 But in hindsight it is hard to ignore the tinge of overconfidence or complacency in SeaWorld's view that the three killer whales didn't have any unique behavioral characteristics or problems, and that "no special actions are needed to augment SeaWorld procedures." 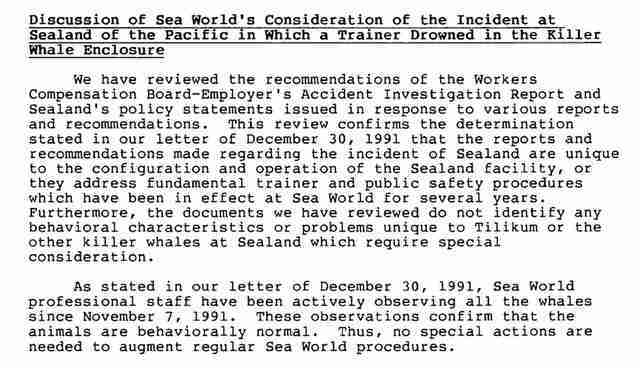 Basically, I would agree with the statement that Haida, Nootka and Tilikum were "behaviorally normal" when the SeaWorld staff started working with us in November, 1991. Over time, we had successfully balanced their social structure and they were getting along well. In the two or so years prior to Haida and Nootka becoming pregnant, there was no longer a need to separate Tilikum to protect him from Haida and it was more common for all three to have full access to the main pool at all times. That they were breeding successfully would be evidence of their balanced social behaviour. However, the statement: "Thus, no special actions are needed to augment regular SeaWorld procedures." I would consider this to be questionable. In conversations with SeaWorld training staff, it was recognized that the accidental introduction of a human into their pool had been an experience for the three orcas that was very exciting and highly stimulating. Haida, Nootka and Tilikum went to extreme effort to prevent us from recovering Keltie, more so than any enrichment object that we had ever introduced to them.Because it was such a highly stimulating experience, there was an agreed concern that given the opportunity, the orcas may try to repeat the circumstance. I remember that a couple of the SeaWorld folks were particularly cautious and if one of the orca's rose up toward them with eagerness, and the trainer would back away with a slightly concerned expression on their face. As it turned out, Andrews' analysis for NOAA looked okay until 1999, when SeaWorld's procedures were inadequate to keep Daniel Dukes out of Tilikum's pool, where he died. And, of course, February 2010, when SeaWorld's procedures with Tilikum failed Dawn Brancheau. 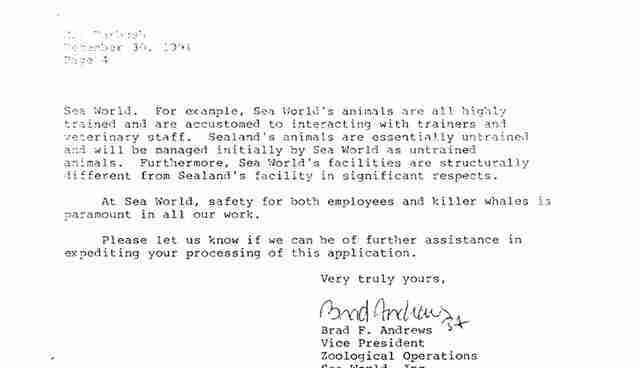 Interestingly, the attitudes and views reflected in SeaWorld's permit application to NOAA are an echo of SeaWorld's response when its killer whale Keto, on loan to Loro Parque in the Canary Islands, killed trainer Alexis Martinez just two months before Dawn Brancheau was killed by Tilikum. In that instance, SeaWorld also ascribed the tragedy to the inadequacies and inexperience of a non-SeaWorld park, and after a brief pause in waterwork to investigate, resumed normal SeaWorld operations. It would be interesting to know how SeaWorld management, knowing what they know now, might have responded differently to Terbush's queries about what SeaWorld had learned from Keltie Byrne's death and how it planned to handle the killer whales involved, especially Tilikum. They likely would never say. But the lesson seems pretty clear: no procedures, even at a park as sophisticated as SeaWorld, can guarantee the safety of someone working closely with killer whales. Which, of course, is what OSHA concluded after Dawn Brancheau's death, fundamentally changing the way SeaWorld operates. The full set of FOIA-requested documents can be found here. SeaWorld was contacted but did not respond when asked for comment.